IKEA North York presents…SENSTATIONAL SUNDAY MORNINGS!! March 1st, 8th and 15th. IKEA North York will have another great reason to come to IKEA. We will have 2 crazy offers on great products. From 10am-12pm the Sales team will reduce 2 good products at 50% off! From 10:30am to 11:30am kids can enjoy a fun activity in the restaurant! This advertisement was flanked by a picture of a happy nuclear family full of joy, optimism and looking so über-cool with their new IKEA gear. So there it was: “Sunday mornings at IKEA”-what every family is looking for! Drop the kids off at the activity center, eat good, inexpensive food and funkify (please excuse my creative vocabulary) your life at unbeatable prices all in one Sunday morning! Now the reason that IKEA (bless its soul for where else could I find a lint roller for that price?) represents a challenge to the church is because it’s out-narrating the church; it’s beating the church at its own game of narrating and embodying a story about what life is all about. It’s not IKEA alone that’s successful here but it’s a good representative of the whole culture of commerce and consumption and its ideals. In fact, the whole industry of advertising is based on successfully narrating a way of life-a way of life that you can’t help but want to be a part of. 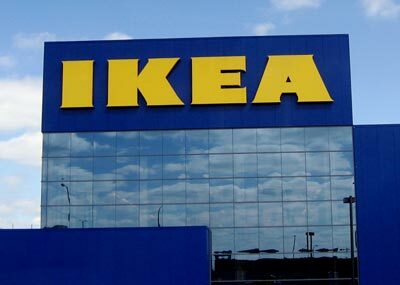 Do you know why IKEA is so successful? I mean, we’re in the middle of a recession and the place was packed with people with their carts full of stuff (ours included). The reason IKEA is thriving is because it knows its story, it knows how to tell and embody its story of consumption at fair prices. It knows its end goal, its reason for being. In other words, IKEA knows how to do its IKEA thing, and it performs it well. In fact, walking the halls, you can read the narrative about how IKEA came into being. They sure know how to tell a story. “Church” names a story, it names a people, it names a certain performance; simply put, it names a way of life. Being a part of the church means being a part of this performance, embodying this way of life. The church tells and lives out a story about what life is all about. In doing so, it narrates an alternative story to the one our culture, so effectively told by IKEA, does. What does this mean? It means, simply, that the church tells a different story than our world does. This ought not to come as a surprise, since the Jesus we follow embodied an immeasurably different story than did the world of his day. But it’s when the church forgets who she is-when she forgets what her story is-that the church misses the whole point of this following Jesus thing. It’s then that the church starts to listen and buy into the stories that are told around it; stories like the myth of redemptive violence, or the story of unlimited consumption of resources, or the story of homeland safety and security at all costs, or the story of self-concern over the concern of those on the edge of society. Maybe it’s as simple as the story of “the best bang for your buck”-a story told without narrating anything about the condition of the production or the producers of our goods. The stories told around us are legion and often very attractive. When the church forgets to do its church thing, it loses its way. Remember what happened to Israel when Israel forgot to do its Israel thing? Babylonian captivity, period. So, when we bemoan the state of the church, or when we contemplate the nature of cultural shifts and what role the church should play in them, we need, above all things, to remember that the malaise the church finds itself in (call it whatever you like, “ecclesial recession” is one of my favourites!) is first of all a loss of identity, which is a long way of saying that we find ourselves in our own Babylonian captivity. Answers? Well, I get asked a lot, probably because I’m a young priest, about how the church is going to move forward into the future. And right now many Dioceses in our church are working with strategic plans as they look to that future. Let me add something that’s seemingly obvious but that gets lost ‘on the ground’ as it were: no amount of strategic planning, no number of core values, no measure of problem solving will secure the future of the Anglican Church in Canada if we are not willing to radically re-think what it means to be a church in a culture that has by-and-large forgotten about the church! Before we crunch the numbers, before we throw solutions at our problems, what this Babylonian captivity ought to engender and create is a penitential community-a community that can acknowledge our collective failure to embody the gospel call to live out the Kingdom of God in our world. Answers? I only have one. Only God rescues. Only God takes unfaithful Israel back. Only God can rescue his people. I’m writing this on the tail end of Lent as we approach the celebration of resurrection. At Easter we tell and embody the story in our services, in our pageants, and in our choir choruses, of a God who rescues, and in the resurrection rescue of love that raised our Lord from the grave, rescues us as well. That’s good news; and, it’s incomparably better news-and a much better story!-than Sensational Sunday Mornings at IKEA. Within just a few steps of the front door, just look down and you can see that Ikea makes a point of welcoming children. There are two sets of hand-rails on the stairs. Bathroom fixtures are the same, with a pair low down on the wall just for kids. Each area of the store has a place for kids to play. They are small things, but make a big statement about how badly they want your family to visit, together. Contrast this with many churches, and it’s no surprise that so many children prefer a visit to Ikea, and the parents oblige! Great piece Patrick! The need to “radically re-think what it means to be a church ” nails it for me! Let’s have that conversation, at all times & in all places, but especially now and in Canada!